Is it possible to change lives with words? 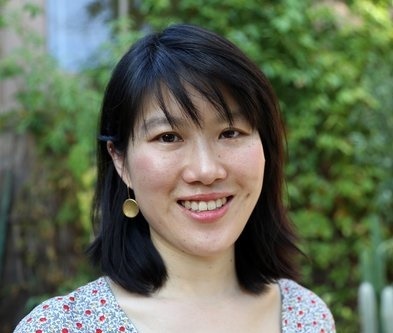 Michelle Kuo, author of Reading with Patrick (reviewed below), believed so when, at the age of 22, she set out to teach in the Mississippi Delta. Armed with a degree from Harvard and a passion for the Civil Rights movement, Kuo felt sure she would find a city and its people eager for aid. The truth was something altogether different: "What had the Civil Rights Movement been for--the violence, the martyrs, the passionate actions--if its birthplace was still poor, still segregated, still in need of dramatic social change?" Though daunted in the classroom, Kuo carried on, wondering if she'd ever manage to make a difference. She applied to law schools, convinced by college friends that she could "maximize" her impact with another degree. Eventually, she made strides with her students through writing, the star being Patrick Browning, a 15-year-old with a quiet, calm presence and a desire to learn. But the influence of Kuo's parents, Taiwanese immigrants, coupled with Kuo's own doubts over her effectiveness, led her to leave and pursue a law degree, eventually landing in California. "Take a (literary) hike." Novel Destinations invited readers to "put on your walking shoes and explore these eight literary trails." Signature embarked on some "great expeditions: the top 10 cities for literary travelers." My Poetic Side recommended "60 books that will make you fall in love with poetry all over again!" Headline of the Day (via CNN): "J.K. Rowling wrote a secret manuscript on a party dress." Classically naughty. Bustle revealed "7 times The Canterbury Tales was way dirtier than 50 Shades of Grey." Katie Hudnall's Nautilus bookshelf "is loosely derived from the image of a boat on water and is designed to remind the viewer that books (and education in general) can be a form of transportation." 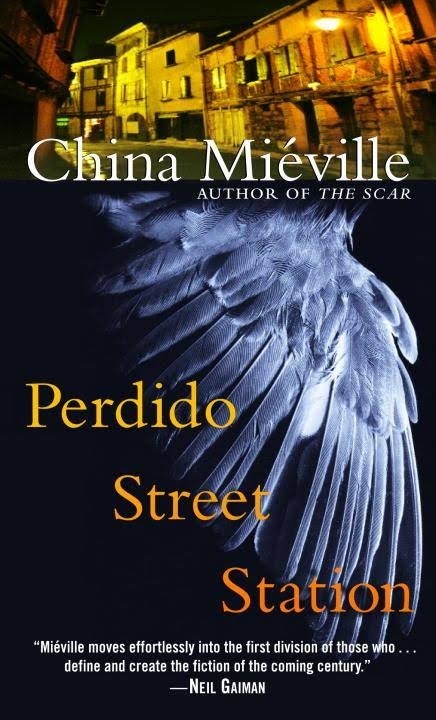 English author China Miéville is a man of many weird and wonderful talents. He is considered, along with Jeff VanderMeer, a principal participant in the New Weird movement, a loosely defined literary speculative fiction category with cross-genre fantasy, horror and sci-fi elements, sprinkled with deliberately unexplained mysteries and existential terror. Miéville is also an academic and political activist; he has a Ph.D. in international relations from the London School of Economics and is a champion of socialist causes (his doctoral theses, Equal Rights: A Marxist Theory of International Law, was published in 2005). His most recent book, October: The Story of the Russian Revolution (Verso), was published in May. Laurel Davis Huber grew up in Rhode Island and Oklahoma. 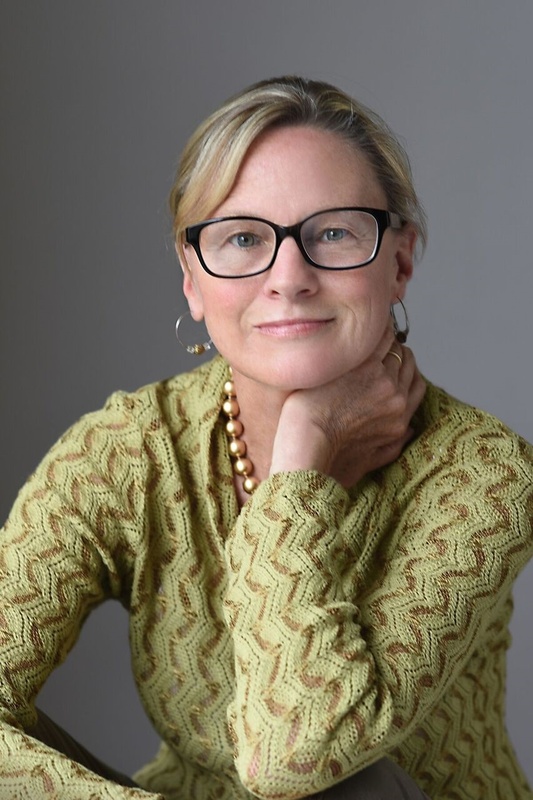 She has worked as a corporate newsletter editor, communications director for a botanical garden, high school English teacher and senior development officer for New Canaan Country School and for Amherst College. She and her husband split their time between New Jersey and Maine. 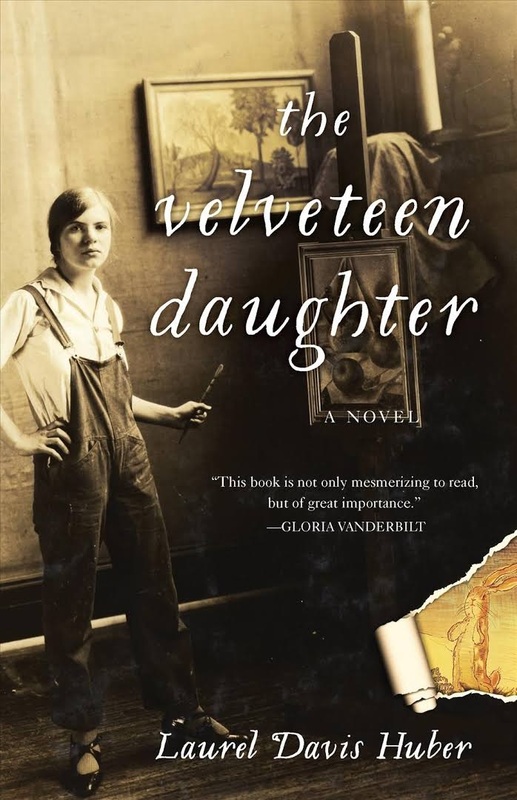 The Velveteen Daughter (reviewed below) is her first novel. What sparked the idea of The Velveteen Daughter? Have you always been a fan of Margery Williams Bianco and The Velveteen Rabbit? Ironically, The Velveteen Rabbit was not a staple from my childhood. I remember so many delightful books my mother read to me--the Babar books, the Beatrix Potter tales and very early Dr. Seuss, like The 500 Hats of Bartholomew Cubbins and To Think That I Saw It on Mulberry Street. It was not until I was an adult that I first read The Velveteen Rabbit. What started me on my writing journey was a simple act of diversion. One summer day in 2006 I picked up an old ABC book from my childhood that had beautiful drawings, and for the first time noticed the name of the author/illustrator: Pamela Bianco. Idly, I wondered if she had written and illustrated other books. A quick Google search led to the discovery that she had been a famous child prodigy. Curious, I kept on looking. When eventually I found out--and it took a long while--that her mother was the author of The Velveteen Rabbit, I became obsessed with the story. Was it difficult to research the lives of Margery and Pamela? For example, throughout the novel Pamela calls Margery "Mam." Did you find documentation that she used Mam instead of mother or mom, or was that creative license? The use of the "Mam" moniker is a small bit of creative license. The truth is that Pamela almost always referred to her mother as "Mummie" or, even more frequently, "Bombom!" I'm afraid I felt these names would get tiresome quite quickly to readers. However, Francesco (Pamela's father) would refer to Margery in his letters to his children as "Mam" or "Mammy." So I did not make up "Mam" out of whole cloth. As for the research, I wouldn't say it was not difficult. It was time-consuming, but it was so much fun I didn't want it to stop. I traveled all over the country in search of letters and memos and photographs and artwork. At the back of the book there is a list of sources for those who may be interested. Many glamorous and famous people make cameos in The Velveteen Daughter--Richard Hughes, Eugene O'Neill, the Gershwins. What was the best part of digging into the art and literary worlds of the early 20th century? I had to restrain myself so that I didn't include too many famous names. The Bianco family lived in the center of Greenwich Village when it was at its height as the stomping ground for bohemian artists, writers and musicians. Edward Hopper lived right around the corner, Edna St. Vincent Millay also lived nearby, and, yes, the Gershwin brothers really did frequent Francesco's bookstore. A caricature published in Harper's Bazaar in 1922 shows Margery and Pamela surrounded by the fashion designer Erté, Stephen Vincent Benet and G.K. Chesterton, to name a just a few! During my research, I stumbled over one surprise after another. The most exciting discovery was handwritten letters that described in detail Pamela's wedding in Harlem; a close second was finding memos from the New Yorker archives detailing conversations with Pamela long after she had faded from the public view. Why do you think Pamela's fame didn't last? Perhaps her art didn't stand the test of time? This is almost impossible to answer. I am neither a trained art historian nor an art critic, so I cannot judge Pamela's work in terms of its "worthiness" to stand the test of time. I do know two things: the first is that child prodigies rarely succeed in a big way throughout their lifetimes--they almost always seem to burn early and flame out fast; the second is that floating around "out there" there is an unknown society of writers, poets, artists and composers whose work is forgotten simply because of fate, and not for lack of brilliance. Pamela's work as a child was delicate and highly detailed. Over time her work evolved dramatically, and there was a boldness and strength to her paintings in her middle period. Her later paintings seemed to combine the two styles--they were bold, but also so extraordinarily detailed that it could take her years to finish one piece. She would use a brush with one hair for precision. I think they're amazing. I don't know what art critics today would think. Did writing about real people made your work harder or easier? It was both. It was easier because I didn't have to make up characters--I had to study them from all angles through the prism of their letters and their works and make them come alive as best I could. It was harder because I had a strong desire to honor Margery and Pamela by sticking to their real story as much as possible. I was very sensitive to this, and took out many passages where I had let my imagination work overtime. For instance, there were several times I wrote in fictional boyfriends for Pamela, thinking surely she had someone lurking about during the years of Diccon's [Richard Hughes] absence--but then I felt I was treading on shaky ground, and the scenes would feel false, and out they would go! But the temptation to let my imagination run wild was always there. In this beautiful novel, Laurel Davis Huber's brilliant writing elegantly captures the complicated lives of two artistic women: author Margery Williams Bianco, who most famously wrote The Velveteen Rabbit, and Pamela, her troubled daughter. The girl, a child prodigy, had her art displayed in galleries in Italy, England and the United States before she was out of her teens. But this early success and ability wreaked havoc on Pamela's psyche, and she struggled throughout her life with depression. The Velveteen Daughter opens on September 1, 1944, when a distraught Pamela arrives unexpectedly at Margery's New York apartment with her son Lorenzo in tow. Margery makes Lorenzo breakfast, and Pamela goes to lie down; both women separately reflect on the years that led them to this breaking point. Slowly, through a series of flashbacks, the reader learns of Margery's hesitation to display Pamela's talent, overruled by her husband, Francesco. Pamela had an unrequited love affair with the author Richard Hughes, and expressed disgust at her cousin Agnes's marriage to Eugene O'Neill, which both played roles in her own failed marriage. Discover: This wonderful and tragic novel tells of the real relationship of Margery Williams Bianco, author of The Velveteen Rabbit, and her daughter Pamela. Fourteen-year-old Lettie Venter--imprisoned in a British concentration camp in South Africa during the Anglo-Boer War--treasures memories of happier days, like stargazing with her grandfather. Now, the men in her family are fighting the British for their land, settled by her Dutch forebears and now coveted for diamond and gold deposits. The Lost History of Stars is Lettie's heartbreaking coming-of-age story, and Dave Boling's (Guernica) unsparing prose portrays the tragedy of innocents caught in the horrors of war. Lettie's first-person account, which reads like the journal she faithfully keeps, begins in 1900, the day "Tommies" ride into their yard, threaten her and her family, and ransack their farm. It happens quickly, yet agonizingly: "Half an hour by the clock... a week's worth of heartbeats... a lifetime's tears." When their crammed cart arrives at the concentration camp, children "were already sickened by a disease whose name I had never heard" after drinking from mud puddles on the arduous journey. The narrative then goes back a year, before the men in her family were called up to fight, followed by the months after their drafting, when women and children tended the farm. Discover: A teenage girl narrates her experiences in a British concentration camp during the Boer War. In Olivia Clare's lyrical and elegiac first short story collection, Disasters in the First World, the characters' mental health is examined with clear-eyed compassion. The excellent "Pétur" introduces Adam, who watches his mother behave in increasingly strange ways on a shared vacation to Iceland. At first he attributes her oddness to her free-spirit personality, but eventually, he learns the startling truth--that her behavior may have clinical roots. In "Olivia," another standout, the titular character mitigates her anxiety and depression by creating an "Asking place" in her guest bedroom; she visits daily to petition a greater power for happiness. When a young friend of her husband comes to stay with them for a few weeks, Olivia is at first dismayed at having to give up, even temporarily, her sanctuary. But she softens when she realizes that her guest's suffering might be even more debilitating than her own. Discover: In her first collection of short stories, poet Olivia Clare writes compassionately and unflinchingly about mental suffering. Jordan Harper's first novel, She Rides Shotgun, is a sanguinary crime novel with heart. Nate McClusky is an ex-con ("all muscles and dragons and gunfighter eyes") who gets crosswise with the Aryan Steel gang ("all the dirty whiteboys in California"). He shanked the brother of its leader Crazy Craig Hollington in his last days at Pelican Bay State Prison. Crazy Craig puts out a warrant to the Steel's gang network on the outside to execute Nate, his ex-wife and his 11-year-old daughter, Polly--a precocious kid with few friends and an odd attachment to a beat-up teddy bear. When Nate is released early, he picks up Polly at her Fontana middle school and scares her into taking off with him in his stolen car with a command: "You're coming with me. Right now, no time for fuss." And then they're off on a wild odyssey of violence, righteous retribution and father-daughter bonding. A screenwriter for TV shows like Gotham and The Mentalist, Jordan first tapped into crime fiction with the story collection Love and Other Wounds. He knows how this game is played. Introspective, shy Polly grows up fast in the company of her crime-hardened father. In fits and starts, Nate cultivates the family connection he needs and wants. She Rides Shotgun is a True Grit sort of saga, but on hot-wired horsepower instead of horseback. With Harper's storytelling chops, it's a rolling hell-bent adventure with all the snappy dialogue and action of the best noir fiction. --Bruce Jacobs, founding partner, Watermark Books & Cafe, Wichita, Kan. Discover: Harper's irresistible first novel tempers the brutality of crime with an empathetic story of an unlikely father-daughter alliance. At the start of Don Winslow's The Force, New York Police Department "hero cop" Denny Malone is behind bars. How did he get there? Winslow takes readers through his descent step by step. Detective Malone thinks of himself as king of Manhattan North. He heads up a special team called Da Force that can tackle cases without having to worry about departmental jurisdictional lines, because often crimes involve narcotics and guns and homicide. Over their 18 years on the job, Malone and his brothers in blue have slowly crossed their own lines--the ones between right and wrong. They rip off drug dealers, beat down child abusers, accept bribes--justifying it as street justice, doing wrong in order to do right. Until all they can do is wrong, and the only way Malone can make his way back is to do the unthinkable. Discover: An elite NYPD task force slides into corruption in Don Winslow's immersive thriller. When Michelle Kuo graduated from Harvard in 2003, she joined Teach for America and went to Helena, Ark., a rural town in the heart of the Delta. She dreamed of galvanizing her students through black literature, believing that books could change lives. "It was unabashedly romantic." 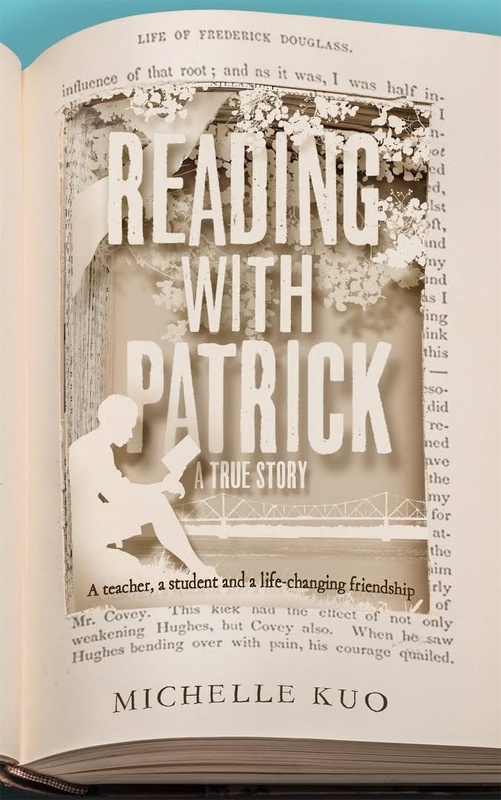 She chronicles her aspirations, and the hard reality she encountered, in Reading with Patrick: A Teacher, a Student, and a Life-Changing Friendship. After failing to rouse her students with fiery prose from James Baldwin and Malcolm X, she found a hit with A Raisin in the Sun. She bought YA books for them; they began to guard them "like amulets." Patrick was 15, mild-mannered, and thrived under Kuo's attention. After two years teaching, she went to Harvard Law School; upon graduation, she heard that Patrick had been jailed for murder. Shocked, she turned down a law firm job, and went back to Helena for Patrick and what she considered unfinished business for both of them. They restarted their relationship reading The Lion, the Witch and the Wardrobe, and moved on to haikus, Tennyson, Mary Oliver and Frederick Douglass (for Patrick, "to keep reading was urgent--in fact, not a choice at all.") Every day Patrick wrote, every day they recited poems. He found his métier in writing letters to his young daughter, infused with poetry: "...a silver carp surfaces as if it is jewelry in the water." Both teacher and student evolved. Discover: A recent university graduate goes to Arkansas to teach in a rural black school, where she forms an unexpected and life-changing bond with a student. Saudi activist Manal al-Sharif is internationally known for her role in women's driving rights campaigns. Daring to Drive is a memoir of her life and her transformation from a fundamentalist teenager into a central member of the Saudi women's rights movement. Al-Sharif grew up poor in Mecca. She was beaten regularly by her parents and teachers. Her Libyan mother insisted that she be genitally mutilated, but also that she be educated through college. Like many of her generation, she internalized the fundamentalism taught to her at school and forced it on her family. But she maintained her love of books and art, college broadened her views and September 11, 2001, "was the date of the complete transformation in my beliefs." After graduation, she went to work for the state-owned oil company Aramco, living and learning to drive inside its multinational, mixed-gender compound. She married and divorced, spent six months working in New Hampshire, went skydiving and took a solo vacation to Puerto Rico. When she turned 32, she joined a feminist driving rights group. Discover: This intimate memoir by a feminist activist and working single mother describes the best and worst of Saudi Arabia, and her hopes for a better future. New York City writer Janet Capron offers a wild, bristling account of city life in the 1970s in her provocative semi-fictional memoir Blue Money. According to her author's note, names from real life have been changed--except for Capron's--and some characters are fictionalized composites of real people. But the environment, the situations and the emotional turmoil are grittily true. Capron reconstructs an episodic narrative in which, as a young woman, she leaves a sheltered, privileged life to become a prostitute in a city seething with drugs and crime. Blue Money follows Capron through a jungle of johns, drug addiction and hallucinations, and the more tender thicket of young love, and the treachery of reckless men and the pain they bring. Many chapters contain explicit content, including a graphic scene of sexual violence that's not for the faint of heart. Discover: This intense, electrifying memoir explores a life of prostitution in 1970s New York City. In The Chickensh*t Club: Why the Justice Department Fails to Prosecute Executives, Pulitzer Prize-winning financial journalist and senior reporter at ProPublica Jesse Eisinger delves into the unpunished crimes of big businesses in the United States. The result is an urgent spotlight on a justice system that is anything but just when it comes to dealing with the evolution of what Eisinger deems an "ecosystem of corporate fraud." The term "Chickensh*t Club" comes from a speech delivered by James Comey, who served as U.S. attorney for the Southern District of Manhattan before becoming director of the Federal Bureau of Investigation. The "club" was made up of prosecutors reluctant to see a case to court unless they felt victory was assured. Afraid to have a loss or hung jury on their records, they simply didn't bring risky or complicated cases to trial. Settlements with corporations, rather than prosecution of individuals, became the norm. What follows is a comprehensive investigation into individuals, companies and systems that allowed this continuance of corruption. Eisinger puts a range of targets in his crosshairs, from big banks to big pharma, shattering the illusion of any company being "too big to fail" and instead characterizing people at the helm of corporations as having become too powerful to be prosecuted--or in Eisinger's words, "too big to jail." Discover: A Pulitzer Prize-winning journalist compiles a scathing indictment of the United States Justice Department's increasing inability to litigate white-collar crime. On June 1, 2008, environmental activist Marcus Eriksen and his friend Joel set sail from Long Beach, Calif., toward Hawaii. Their vessel was far from ordinary; built from more than 200,000 plastic soda bottles, an old airplane fuselage, pieces of old fishing nets, ropes and cargo straps, and several salvaged masts, the contraption was aptly named Junk Raft. Eriksen wanted to bring badly needed attention to the overwhelming amount of plastic found in the world's oceans. He planned to sail Junk through the North Pacific Subtropical Gyre, one of many swirling masses around the world, where plastic pollution gathers in the sea. This is not a stable mass of identifiable pieces, but a soup of minute micro and macro particles that creates an underwater fog of plastic residue. Discover: Two men on a raft made of junk bring worldwide attention to the plastic soup that pervades our oceans. Roll out the red carpet for author D.J. Steinberg (Grasshopper Pie and Other Poems) and illustrator Robert Neubecker (Linus the Vegetarian T. rex), whose imperial collaboration tells the delightfully informative and visually stunning story of King Louis XIV's shoe folly. This nonfiction picture book introduces young readers to the king who was big in every way except height. He gave big parties, grew a big army and gave big gifts. But as Steinberg succinctly explains, "King Louie (which is how you say 'Louis' in French) was a shrimp." After failing several attempts to appear taller--a high throne, a full wig--he calls on his royal cobbler to craft a pair of high-heeled shoes. Louie's shoes are a hit, igniting a fashion trend. But when Louie's preposterous heels make him take a tumble on the dance floor, he realizes height is not the quality that makes a king great. "Off came the shoes./ Up came the king... dancing holes in his stocking feet!" Discover: Diminutive French King Louis XIV learns a big lesson when he tries to be tall. "Max had been looking forward to visiting the big museum for AGES. It had everything from snails and whales to moon rocks and mammoths. But, best of all, there were... DINOSAURS!" When it turns out Max doesn't have enough time to ask his favorite dinosaur, Tyrannosaurus Rex, all of his questions, the museum curator suggests he write the T. Rex a letter. Max does just that, politely asking the dinosaur if it would be okay to pose a few questions. "Dear Max,/ ROOOOAAAARRRR!!!... I am a terrifying, sharp-toothed, super-strong king of the dinosaurs. I am longer than a bus. I do NOT write nice letters to small children. I eat them." Discover: Young Max learns all about his favorite dinosaur, the T. Rex, by exchanging letters, cards and e-mails with the extinct creature. "I'm pretty sure boys can't even get eating disorders." Matt hasn't eaten much in the last few days, but he has good reason: "Hunger makes you better. Smarter. Sharper," and he needs his senses and abilities as sharp as possible to save his family. Five days ago, Matt's older sister Maya ran away from home. Though Maya calls and says she's fine, Matt knows there's more she's not telling and that someone has hurt her badly enough to make her leave. His prime suspect is popular soccer star Tariq, the last one to see Maya before she disappeared. As Matt disciplines himself to eat less and less, his senses seem to increase to superhuman levels. Matt is convinced he can use his newfound abilities to uncover Tariq's secret and make him pay for whatever he did to Maya. Discover: A teenage boy starves himself in hopes of increasing seemingly superhuman abilities so he can save his runaway sister.